I am curently working on perturbation to conservation laws related to group actions, stochastic averaging, diffusion creation of stochastic differential equations on manifolds. I am also working on Hessian estimates of parabolic second order differential equations. Otherwise I work with stochastic dynamical systems, stochastic analysis on geometric spaces and in infinite dimensions, geometry of diffusion processes, investigation of measures and concrete stochastic models. To see a list of my research publications, organised by topics, pelase Click Here. For my articles in the arxiv, use http://arxiv.org/a/li_x_9. Perturbation of Conservation Laws and Averaging on Manifolds (2017), article in arxiv, submitted to Abelsymposium 2016. Doubly Damped Parallel translations and Hessian formulas (2017), To appear in the volume 'Stochastic Partial Differential Equations and Related Fields', on the occasion of Michale Roeckner's 60th birthday. Generalised Brownian bridges: examples. arxiv:1612.08716 (2016) Submitted to Markov Processes and Related Fields. First Order Feynman-Kac Formula. With J. Thompson. (2016) arxiv:1608.03856 Article To appear: Stochastic Processes and Their Applications. Stochastic Homogenisation on Homogeneous Spaces (with an appendix by D. Rumynin) (2016) Article arXiv:1505.06772. To appear: Journal of the Mathematical Society of Japan. A Concrete Estimate For The Weak Poincare Inequality On Loop Space. X. Chen, X.-M. Li and B. Wu. Article Probab. Theory Relat. Fields (2011) 151:559-590 . 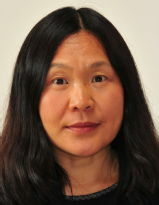 SDE Approach to analysis on path spaces, Xue-Mei Li, In New trends in stochastic analysis and related topics (ed. H. Zhao and A. Truman), World Scientific (2012). The Geometry of Filtering, K. D. Elworthy, Yves Le Jan, and Xue-Mei Li. In Frontiers in Mathematics Series, Birkhauser (2010). Book-Information. EPSRC research grant on Stochastic Analysis in Infinite Dimensional Spaces, 2008-2011. LMS scheme three grant (East Midland Stochastic Analysis Seminars), 2002-2016.